OECD Directorate for Food, Agriculture and Fisheries AGR/CA/APM(2000)5/FINAL. Andow, D.A., (1999), “Management of transgenic pesticidal crops”, paper presented at the Conference on Biological Resource Management: Connecting Science and Policy, OECD Paris, 29-31 March, 1999. Benbrook, C. (1999), “World Food System Challenges and Opportunities: GMOs, Biodiversity and Lessons from America’s Heartland”, paper presented at the University of Illinois World Food and Sustainable Agriculture Program meeting, January 1999. Beringer, J.E., (1999), “GMO Releases in the Environment”, paper presented at the Conference on Biological Resource Management: Connecting Science and Policy, OECD Paris, 29-31 March, 1999. Besen, S.M., and L.J. Raskind, (1991), “An Introduction to the Law and Economics of Intellectual Property”, Journal of Economic Perspectives, 5:1 3-28. Blandford, D. and L. Fulponi, (1999), “Emerging public concerns in agriculture: domestic policies and international trade commitments”, European Review of Agricultural Economics, 26:3 409-424. Bouis, H., (2000) “The role of Biotechnology for Food Consumers in Developing Countries”, paper presented at the conference, Agricultural Biotechnology in Developing countries Toward Optimising the Benefits for the Poor. Breitenbach and Hoverstad, (1998) “Roundup Ready soybeans”, Crop News 4:29 162-163. Buckle,A.G.Brookes and D.Bradley,(1998) “Economics of Identity Preservation for Genetically Modified Crops”, report to the Food Biotechnology Communications Initiative, December. Butler, L.J. (1999a),“RBST: Adoptions and Concerns of California’s Dairy Producers”, Small Farm News, Winter, University of California (1999b). Butler, L.J. (1999b),“The profitability of rBST on U.S. 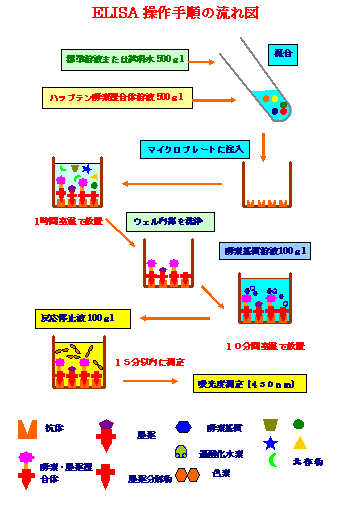 Dairy Farms”, AgBioForum,2:2 Spring http://www.agbioforum.org/v2n2/v2n2a08-butler.htm （ＵＲＬを修正しました。2010年12月） (1999c) personal communication. Carpenter, J. and L. Gianessi (2000) “Agriultural Biotechnology: Benefits of Transgenic Soybeans”, National Center for Food and Agricultural Policy Research. Cassman, K.G., (1999) “Ecological intensification of cereal production systems: Yield potential, soil quality and precision agriculture”, Proceedings of the National Academy of Sciences, USA, vol. 6, May, pp. 5952-5959. Caswell, J., (1998b) “How Labeling of Safety and Process Attributes Affects Markets for Food,”, Agricultural and Resource Economics Review, 27:2 151-158. Caswell, J. and M. Mojduska, (1996), “Using Informational labelling to influence the market for quality in food products", American Journal of Agricultural Economics, 78:5 1248-53. 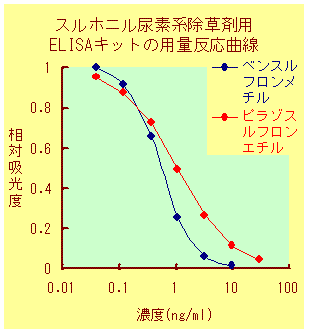 Coaldrake, (1999) “Trait Enthusiasm does not Guarantee On-Farm Profits”, AgBioForum, 2:2, Spring http://www.agbioforum.org/v2n2/v2n2a09-coaldrake.htm （ＵＲＬを修正しました。2010年12月） . Conway,G. (2000), “Crop Biotechnology: Benefits, Risks and Ownership, Speech delivered to the OECD Edinburgh Conference on Scientific and Health Aspects of Genetically Modified Foods, Edinburgh, February. Darby, M. and E. Karni, (1973), “Free Competition and the Optimal Amount of Fraud”, Journal of Law and Economics 16: 67-88. Dobson, William, D. (1996), “The BST Case”, Agricultural and Applied Economics Staff paper series,No. 397, University of Wisconsin, Madison, Wisconsin, USA. Duffy, M. (1999) “Does planting GMO seed boost farmer’s profits?”, Leopold Centre for Sustainable Agriculture, Iowa State University, Working note. Dyson, T. (1999), “World food trends and prospects to 2025”, Proceedings of the National Academy of Sciences, USA, vol. 96, 5929-5936. Evenson, R.E, (1999), “Global and Local Implications of Biotechnology and Climate Change for Future Food Supplies”, Proceedings of the National Academy of Sciences, USA, vol. 96, 5921-5928. Falck-Zepeda, B.Jose., Traxler,G. and R. Nelson (1999), “Rent creation and Distribution from biotechnology Innovations: The case of Bt Cotton and Herbicide -Tolerant Soybeans”,paper presented at the Transitions in Agbiotech: Economics of Strategy and Policy, June 24-25, 1999. Federoff, N. and J. Cohen, (1999) “Pants and population: Is there time?”, Proceedings of the National Academy of Sciences, USA, vol. 96, 5960-5967. Fernandez-Cornejo, J. and W. McBride, (2000) “Genetically Engineered Crops for Pest Management in U.S. Agriculture: Farm-Level Effects”, Agricultural Economic Report, Number 786. 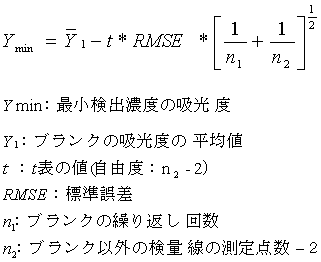 Furman and Selz, LLC (1998), “Farmer Economics for Biotech Seeds”, consultant report Gallup Poll Survey,March 30-April 2, 2000 （対応するＵＲＬは現在見つかりません。2010年5月） . Ghadim, A. and D. Pannell, (1999) “A conceptual framework of adoption of an agricultural innovation”, Agricultural Economics, 21, 145-154. Golan, E. and F. Kuchler, (2000), “Labeling Biotech Foods: Implications for Consumer Welfare and Trade”, Paper presented at the IATRC meeting, Montreal, June 2000. Hadden, S. G., (1986) “Read the Label”, Westview Press, Boulder, Colorado, USA. Hartzler, B, And D. Buhler, (1998), “Weed emergence patterns”, Iowa state Weed Science Department working paper 98-4. Hartzler, B., (1998) “Glyphosate resistance in Australia”, Dept. of Agronomy, Iowa State University. October. 15. Hartzler, B., (1998), “Roundup Resistant Rigid Ryegrass,” Dept. of Agronomy, Iowa State University. Oct. 22. Hartzler, B., (1998), “Are Roundup Read weeds in your future?”, Dept. of Agronomy, Iowa State University November 3. Heffernan, W. (1999), “Consolidation in the Food and Agriculture System, Report to the National Farmers Union,” February. Hussain, S., (2000) “Green Consumerism and eco-labelling: a strategic behavioural model”, Journal of Agricultural Economics 51(1):77-89. Hurley, M. Terrance , S. Secchi,. and R. Hellmich, (1999) “Managing the Risk of European Maize Borer Resistance to Transgenic Maize: An Assessment of Controversial Refuge Recommendations, ” selected Paper to the American Agricultural Economics Association Annual Meeting, August 1999. Hyde, J., M. Martin, P. Preckel, C. R. Edwards and C. Dobbins, (2000),”Estimating the Value of Bt Corn: A Multi-State Comparison”, Selected Paper presented at the 2000 AAEA Annual Meeting, Tampa, Florida, USA, July 30-August 2, 2000. Kinsey,J. 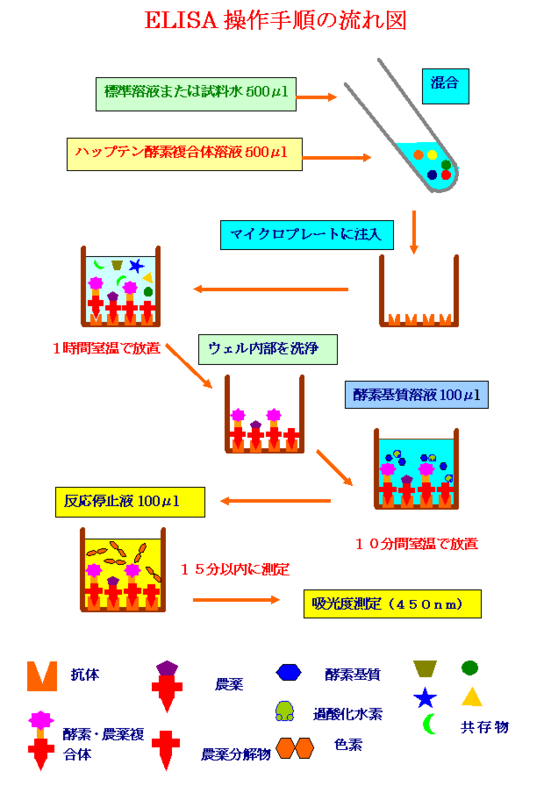 (1999) “Genetically Modified Food and Fiber: A Speedy Penetration or a False Start?”, Cereal Foods World, 44:7 487-489. Klotz-Ingram,C., S. Jans, J. Fernandez-Cornejo and W. McBride,(1999), “Farm-Level Production Effects Related to the Adoption of Genetically Modified Cotton for Pest Management”, https://mospace.umsystem.edu/xmlui/handle/10355/1203 （ＵＲＬを修正しました。2010年12月） . Lesser,W. Bernard, J. And K. Billah, (1999) “ Methodologies for Ex Ante Projections of Adoption Rates for AgBiotech Products: Lessons Learned from rBST.”, Agribusiness 15:2 149-162. Levin,H., E.Politt, R.Galloway and J. McGuire,(1993) “Micronutrient Deficiency Disorders” in D.Jamison, W. Mosley , A. Measham and J. Bobadila, eds., Disease Control Priorities in Developing Countries. Oxford Press, pp. 421-451. Lin, W. and J. L. Harwood, (2000) “Biotechnology : Production, Marketing and Policy Issues and Perspectives”, presented at the Southern Extension Committee, June, 2000. Marra, Michele, G. Carlson, and B Hubbell, (1997), “ Economic Impacts of the First Crop Biotechnologies,” Electronic publication of the North Carolina Agricultural Research Service, University of Georgia Agricultural Experiment Station and USDA southern Region Pesticide Impact Assessment Program. McCalla, A. and L. Brown, (2000), “Feeding the Developing World in the Next Millennium: A Question of Science” in eds. Persley, G.J. and M.M. Lantin, Agricultural Biotechnology and the Poor, Washington. D.C., Consultative Group on International Agricultural Research. Miranowski, J., J.C. Moschini., B. Babcock , M. Duffy , R. Wisner, J. Beghin, D. Hayes and S.Lence, “Economic Perspectives on GMO market Segregation” University of Iowa, Depart of Applied Economics, September 30, 1999. Moschini, G. and H. Lapan, (1997) “Intellectual Property Rights and the Welfare Effects of Agricultural R&D” , American Journal of Agricultural Economics, 79: 1229-1242. Moschini, G.,H. Lapan and A. Sobolevsky, (2000), “Roundup Ready Soybeans and Welfare Effects in the Soybean Complex”, Agribusiness, 16:33-55. Mullin,J.W. et al,(1999) "Economics of Bollgard versus non Bollgard Cotton in 1998", 1999 Proceedings Beltwide Conference, June 24-25, 1999. Neilsen, C., S. Robinson and K. Theirfelder,(2000) “ Genetic Engineering and Trade: Panacea or Dilemma for Developing Countries”, May , TMD Discussion Paper No.55. OECD, (2000) Geneticallly Modified Foods: Widening the Debate on Health and Safety, Paris. Oerke, E.C., H.W. F. Dehne, Schonbeck and A. Weber, (1994),Crop Production and Crop Protection: Estimated losses in major food and cash crops, Amsterdam: Elsevier. Oplinger, E.S., M.J. Martinka and K. A. Schmitz (1999), “Performance of Transgenic Soyabeans-Northern US. (1998)”, Agronomy Department University of Wisconsin. Owen, M. (1998) “North American developments in herbicide tolerant crops,” Paper presented to the 1997 British Crop Protection Conference, Brighton UK. Peng, P.C., C. Feng, J. E. Pratley, and J.A. Bohn, (1999) “Resistance to glyphosate in Lolium rigidum, Uptake, Translocation and metabolism”, Weed Science, 47: 412-415. Runge, F. and L. Jackson,(2000), “Labelling, Trade and Genetically modified Organisms”, Journal of World Trade, 34(1): 111-122. Ruttan, V. (1999) “The transition to agricultural sustainability”, Proceedings of the National Academy of Sciences, USA, vol. 96, May pp. 5960-5967. Serageldin, I., (1999), “Biotechnology and Food Security in the 21st Century”, Science 285:387. Stefanides, Z. and L. Tauer, (1999) “The empirical impact of Bovine Somatotropin on a group of New York dairy farms”, American Journal of Agricultural Economics, 81:1 95-102. Source: Farm-Level Effects of Adopting Herbicide Tolerant Soybeans in the U.S.A., J.Fernandez-Cornejo, C. Klotz-Ingram and S. Jans. Selected paper presented to the American Agricultural Economics Association meetings, August 1999.